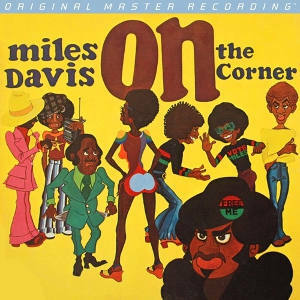 HRAudio.net - Miles Davis: E.S.P. 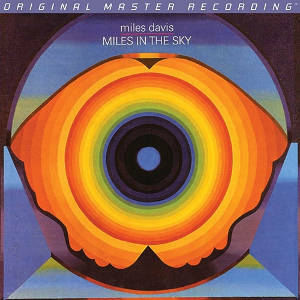 A landmark recording and masterful symphony of performance, composition, and execution, Miles Davis&apos; E.S.P. established the template jazz would follow for the following decade. 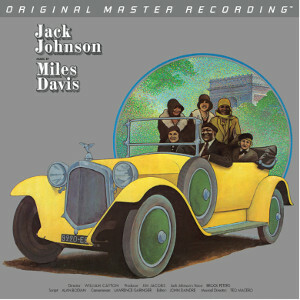 The 1965 record splits the gap between accessible hard-bop and the cutting-edge approach Davis increasingly pursued into the 1970s. Adventurous, sophisticated, and yet altogether cohesive, E.S.P. 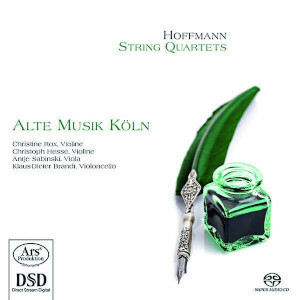 stands out not only due to its elastic compositions but via its chemistry, interplay, and feeling attained by the instrumentalists. 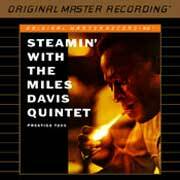 The first album Davis&apos; classic second quintet made together, it&apos;s also very arguably the group&apos;s best. 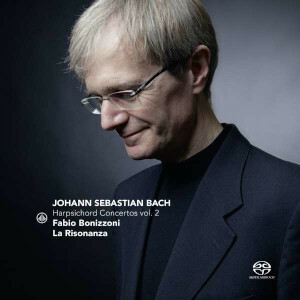 Never before has the effort been experienced in such transformational sound. 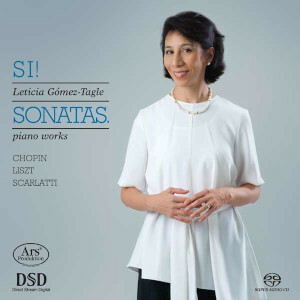 This meticulously restored audiophile version renders the music&apos;s dynamics, pitch, colors, and textures with lifelike realism and proper scale. Reference-caliber separation, wall-to-wall soundstages, and distinct images magnify the intensity and beauty of Davis and Co.&apos;s creations. Whether it&apos;s the distinctive snap of Tony Williams&apos; drum sticks against the snare head, air moving through Davis&apos; trumpet, acoustic thrum of Ron Carter&apos;s bass, or upper register of Herbie Hancock&apos;s piano, the sound is better than you&apos;d even hear in the most intimate jazz clubs. Prepare to be swayed on every level. For many, E.S.P. looms among the decade&apos;s best albums if only because of the significance of Davis&apos; lineup. While Hancock, Williams, and Carter are holdovers that began playing with one another on 1963&apos;s Seven Steps to Heaven, Wayne Shorter functions as the secret weapon and key addition responsible for this ensemble hitting a new peak. Indeed, the saxophonist helped pen two of the seven compositions here – notably, E.S.P. is entirely comprised originals and clocked in as one of the longest-running jazz LPs issued at the time – and, more importantly, grants Davis the confidence and leeway necessary for the eruption of enigma, steadiness, and tension. As he did with John Coltrane year earlier, Davis hangs back and picks his moments to solo, with Shorter stepping up to supply the churn. Their bandmates respond in kind, itching to take off into new stratospheres all the while keeping their improvisations grounded and connected to the piece at hand. Guided by Davis&apos; visions and inspired by current boundary-pushing works by the likes of Ornette Coleman, Cecil Taylor, and Coltrane, the magnificent results spark with variation, harmony, emotion, energy, and brilliant movement. Interlocking lines drive "Little One," alternating rhythms pulse through the funky "Eighty-One," melodies soar on the balladic "Iris," the aptly titled "Mood" broods over minor-key structures, and "Agitation" – goosed by a two-minute percussive introduction by Williams – delivers on its promise. No record – and no group of musicians – have ever balanced coherent themes and exploratory playing in better fashion than Davis&apos; quintet on E.S.P. It&apos;s the avant-garde record even jazz traditionalists love, and essential on every level. 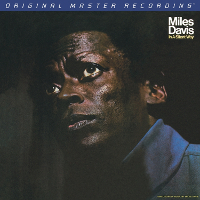 Mobile Fidelity&apos;s SACD reissues of the Columbia recordings of Miles Davis have been released out of original album chronology. 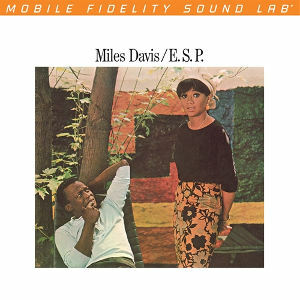 The issuance of E.S.P., the first studio recording by the Second Quintet, fills a significant gap in understanding the musical shift that Miles was undertaking in the mid-1960s. E.S.P. marked a new direction in jazz that was distinct from music written for Blue Note sessions by the composer-members of the Miles Davis quintet in that same 1964-1965 period. E.S.P. owes little to the New Thing innovations of John Coltrane&apos;s Impulse albums and the even more radical experiments of Albert Ayler and Cecil Taylor, but the contributions of the quintet&apos;s members demonstrated that the music had moved on from bebop, and that their compositions would be the springboard for Miles&apos; new direction. Shorter&apos;s immediate predecessor in the saxophone chair was Sam Rivers, a prominent figure in the Boston avant-garde music scene. Tony Williams had pressed for Rivers&apos; presence in the quintet after the departure of George Coleman. 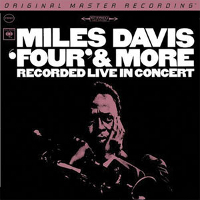 Rivers can be heard on Miles in Tokyo (mastered to DSD by Sony Japan but released only on RBCD), from a concert recorded in July 1964. The saxophonist&apos;s brief tenure left little impact on the leader; Miles had already acquired two of the three Blue Note composer-players he wanted for the new group, Williams and Hancock. 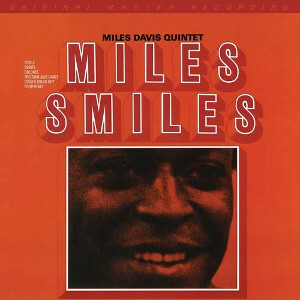 Miles didn&apos;t resonate with Rivers—he preferred George Coleman&apos;s big tone and modernist take on bop. 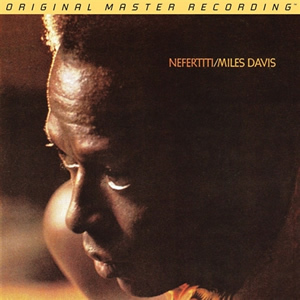 After the failed experiment with Rivers, what Miles was hearing was a quality of sound that only Wayne Shorter could provide. 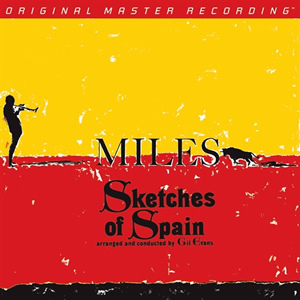 Had Shorter rejected Miles&apos; entreaties, the Second Quintet might well have broken up before ever recording a single studio album. The arrival of Wayne Shorter is regarded by music historians as the most significant factor in the development of the second quintet&apos;s distinctive sound. Shorter brought with him a book of recent compositions, five years&apos; experience as the music director and tenor soloist in Art Blakey&apos;s Jazz Messengers, and the personal recommendation of John Coltrane, who had encouraged Miles to hire Shorter as early as 1959. Writer Keith Waters, in "The Studio Recordings of the Miles Davis Quintet 1965-68" (Oxford University Press 2011), argues—I believe, convincingly—that the presence of Wayne Shorter both in the studio and onstage, provided Miles with a much-needed, mature contributor who could balance out the youthful enthusiasm and unbridled experimentation of Tony Williams and bolster up the hesitancy and insecurity of Herbie Hancock. If Williams never experienced a moment&apos;s doubt that he was ONLY drummer for Miles, Hancock during the year prior to Shorter&apos;s arrival, puzzled over his role in the ensemble and received little reassurance from his moody and taciturn employer. Yet, by the time the quintet performed in Tokyo with Sam Rivers, Hancock was well on the way to adapting the density of his orchestral style of performance to the need for greater space and openness that Miles was demanding. The music of E.S.P. 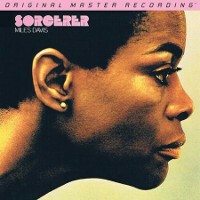 and on the subsequent albums Miles Smiles, Sorcerer and Nefertiti is often characterized as &apos;modal jazz&apos;. Modal jazz, a shorthand term that conceals surprising complexity, serves to distinguish the music from two other currents of American jazz in the early-mid 1960s, the past-leaning hard bop, which continued to draw on song form and bebop soloing practices, and the forward-reaching free jazz, which was striving to liberate music from conventional harmony and established performance norms. Waters lists the consensus characteristics of modal jazz: modal scales for soloing; use of single chord under long sections of the piece; pedal point (sustaining or repeating a single bass note) under shifting harmonies; absence of conventional chord progression; use of suspended fourth chords; use of harmonic or perfect fourth intervals. Sound complicated? It gets more so. Playing modal jazz imposes a set of rigorous demands on the performers, and not only in the solo passages. 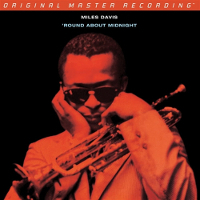 When Shorter, Carter and Hancock brought their compositions into the studio, Miles sat down at the piano and began to edit, change time signatures, reduce the length of the heads. While the tape was rolling he would stop a take and switch the order of the horns&apos; entries, or tell Hancock to change his piano accompaniment. This was not new behavior for Miles, but was unsettling—intentionally—for Shorter and especially Hancock. 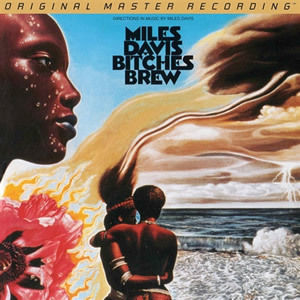 Miles was determined to break out a new sound that relied as much on the disruption of the band&apos;s self-expectations as on the set of modal jazz tools in the workbox. The opener, Shorter&apos;s "E.S.P. ", announces its stark modernity in a brisk head melody of descending fourths (Waters points to Johnny Carisi&apos;s "Israel" from the 1949 Birth of the Cool sessions as a stylistic predecessor). The effect on some listeners may be that the tune is, in effect, tuneless, un-singable, that it doesn&apos;t swing, and lacks the immediacy of blues-based music. That&apos;s true as far as it goes, but it doesn&apos;t limit the players—it opens room for creative exploration outside the blues-form or song-form constraints. Shorter launches into a solo based on whole tone scales and the framework perfect fourths. It&apos;s more similar-sounding to John Coltrane than much of Shorter&apos;s subsequent playing in the quintet. The first statement of his presence in the group reveals a confident, self-assured voice. Hancock&apos;s "Little One" is a masterpiece of group interplay. 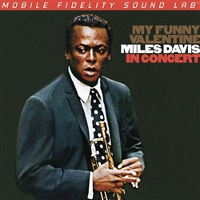 To give the intro more of a feeling of space and suspense, Miles divided the opening horn lines between himself and Shorter playing separately, rather than in unison or harmony. The slow rubato of the A section changes unexpectedly into 3/4 (waltz) time, with Williams entering softly on brushes. Waters writes a lengthy analysis of Miles&apos; trumpet solo and provides a transcript that can be read while listening to the performance. The solo is a marvel of harmonic negotiation, and doesn&apos;t require the skills of a trained theorist to appreciate. 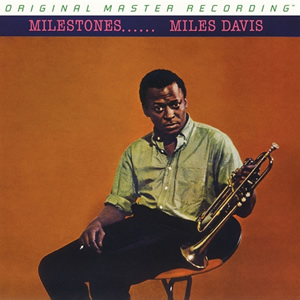 Miles aimed, throughout his career, for tone production first and foremost. 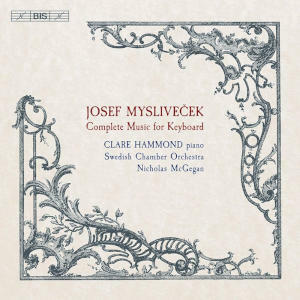 What is noteworthy is how far he has moved away from the stance he adopted on "Kind of Blue" of demanding radical harmonic simplicity, to embracing the complexity of Hancock&apos;s and Shorter&apos;s compositions. E.S.P. was recorded over three days, and the tape from third session, January 22, yields the best sound quality (tracks 5, 6 and 7, "Agitation", "Iris" and "Mood"). Any explanation would be purely speculative, but most listeners should be able to hear the differences. The piano sound on E.S.P. is somewhat flat, and the horns lack &apos;air&apos; and low-level timbre detail, though Ron Carter&apos;s bass and Tony Williams drums are well presented in the soundstage. Overall, the sound quality of E.S.P. 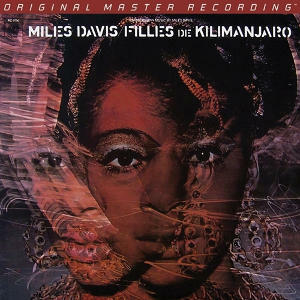 is not as good as the later quintet recordings released on SACD by Mobile Fidelity, Miles Davis: Sorcerer, Miles Davis: Nefertiti and Miles Davis: Filles de Kilimanjaro. The latter albums were recorded at Columbia&apos;s 30th Street studio, the label&apos;s premiere facility. The sonic limitations of E.S.P. 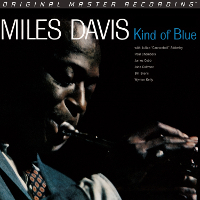 aside, this SACD remains a worthwhile addition to MoFi&apos;s growing catalog of Miles Davis&apos; Columbia recordings on artistic and historic grounds. Mofi is not claiming the use of &apos;Original Master Tapes&apos; for this SACD master. I wonder what source(s) they used for the SACD mastering? There is not the same amount of analogue air and fine level detail present. It is much cleaner sounding as a result. It still sounds excellent though and the Mofi blurb is pretty much on the money. As Mark notes in his review, the last 3 tracks sound better than the others. they stated on facebook: "the original stereo master mixes from 1965 were used for our release. however,since we could not 100% verify the provenance of each and every song on the tape, we refrained from applying out usual Original Master Recording stripe."